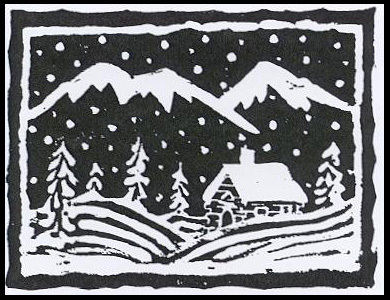 “Winter Cabin” is embossed in silver on dark blue matte card stock. The edge of the blue card stock is edged with a silver Krylon Leafing pen and a silver cord is wrapped around two corners and tied with a bow. This is layered on ivory card stock. Card by Linda Gordon. Previous post: Holiday Season card Using Holly Sprig, Lg.